This week LeBron James will enter the final round of the NBA Playoffs for the fourth year in a row. The occasion also marks the fourth year since LeBron famously took his talents to South Beach, thus beginning one of basketball’s greatest modern dynasties. Commemorating this on the eve of a potential three-peat, Nike has revived a popular colorway from ‘Bron-’Bron’s eighth shoe on his latest silhouette. 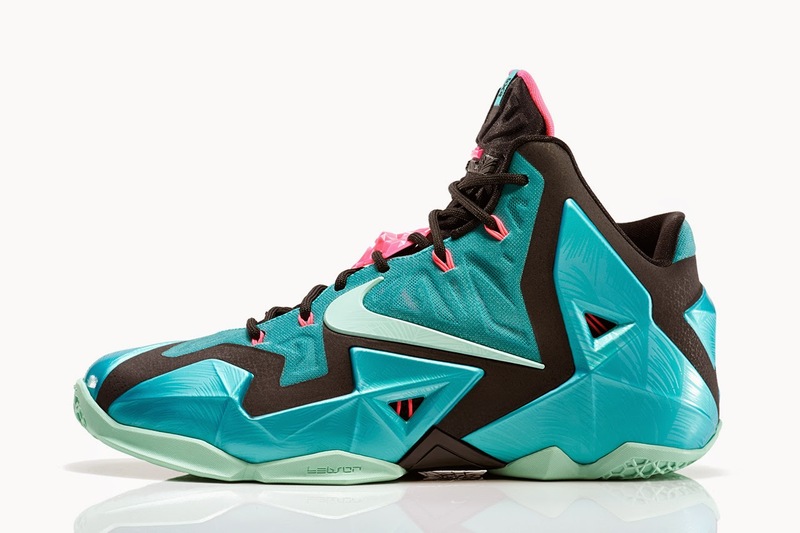 Accordingly, the LeBron 11 “South Beach” comes executed with teal on the paneled Hyperposite upper, accented with bold pink at the lace loops and tongue. James’ hallmark lion icon details the lace area, completing this homage to Miami’s colorful culture. Look for this release to drop at Nike retailers worldwide beginning June 21.